Parashar Ramanuj, M.B.B.S., M.R.C.Psych., is a 2015–16 U.K. Harkness Fellow in Health Care Policy and Practice. He completed his training in general adult psychiatry at the St Thomas’ and Maudsley Hospitals in London. He was senior clinical attaché to the Policy Unit at the Royal College of Psychiatrists (RCPsych), where he evaluated the ability of ‘Payment by Results’ model to adequately fund long-term psychiatric rehabilitation, and was shortlisted for the Royal College of Psychiatrists’ Higher Specialist Trainee of the Year 2015. Ramanuj is a past National Medical Director’s Fellow and an Honorary Research Fellow at the Institute of Psychiatry, Psychology and Neuroscience. His research examines how vulnerable people receive care at the interfaces in health. Analysis he conducted on an innovative commissioning program to incentivize physical health monitoring of people with serious mental illness was cited as a gold standard mechanism to integrate physical and mental health care by the NHS Confederation and helped roll out the program nationally. Ramanuj received his medical degree from King’s College London. Ramanuj realised early on in his career that the physical health of people with mental illness was a public health crisis. Although people with mental illness have more contact with health services, they receive less care and inadequate care for physical health conditions. This is one major reason why people with mental illness die 10-20 years younger than the general population. Much of the innovative work to tackle this disparity has been conducted in America. Here, there is a growing recognition that the challenges of providing care for people with highly complex, multimorbid illness could not be met without tackling the needs of those with mental illness. Ramanuj applied to the Harkness Fellowship to learn more about the challenges that health services faced in providing ‘whole person care’ to people with mental illness. He conducted two major projects during his Harkness Fellowship year based at Columbia University in New York and the New York State Psychiatric Institute. The first challenged the notion that mental and physical health services could move from being fragmented to being integrated along a single continuum. Through a novel qualitative systems analysis Ramanuj showed that integration of care is a product of a network of factors that aid or hinder one another. In this network ‘soft’ factors such as leadership and organizational culture are as important as ‘hard’ factors like sophisticated electronic tools. In his second project Ramanuj identified gaps in our evidence base in how services measure good quality care. At present, guidelines and clinical outcomes are predicated on individual conditions (e.g. guidelines for depression, measures for diabetes). However the majority of people who use health services have multimorbid conditions i.e. diabetes and depression that occur together. 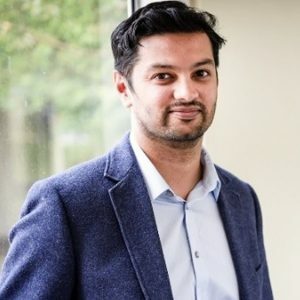 Ramanuj conducted research with a range of experts and thought leaders to develop ways in which mental health outcomes and physical health outcomes could be considered together. In this way, services can be held accountable for improving both mental and physical health of their patients together. The Harkness year was very productive for Ramanuj and he has published half a dozen peer-reviewed papers from his research. Since his incredible year in New York, Ramanuj has translated much of his learning into his own clinical practice as a Consultant Psychiatrist at the Royal National Orthopaedic Hospital, where he is developing the burdgeoning field of ortho-psychiatry. He is also a Senior Fellow at the research organisation, RAND Europe and Clinical Lead for Integrated Care at Imperial College Health Partners.